Though there are additional costs associated with encoding content with multiple codecs, with the broad support for HEVC on mobile platforms and in today's OTT marketplace, the savings associated with delivering in newer codecs like HEVC and VP9 compared to AVC will more than compensate for the additional costs of multiple encodes and storing multiple files, according to Will Law of Akamai in this excerpt from a Streaming Media West 2016 panel. Will Law: HEVC support is broader than people realize. You can't buy a smart TV today that doesn't have HEVC support. If you look at Android 5.0, there’s support for Android. Reading through the Android 7 requirement docs last night, they require HEVC, which is a big step forward. And mobile devices are precisely where you want the conversion efficiency of HEVC. So I think we're going to be pleasantly surprised. VP9 is broadly supported on browsers, so anyone today who's targeting a browser user base, especially combined with HTML file would be reasonably foolish to ignore the benefits they could get from VP9 and that target audience. And maybe we’ll get to this point later on codecs, but it's not a mutually exclusive decision--should you go with HEVC or should you go with VP9? You can go with both at the same time, and my recommendation would be you should. It does cost you twice to store it, or three times. It does cost you more to encode it, but every single time you deliver an asset over OTT after that point, you save money compared to doing that same asset with an AVC cost of codec. And if you have sufficient views per month to warrant the additional expenditure on the encoding and the storage, then you should produce the content in that additional codec and then target the devices appropriate. 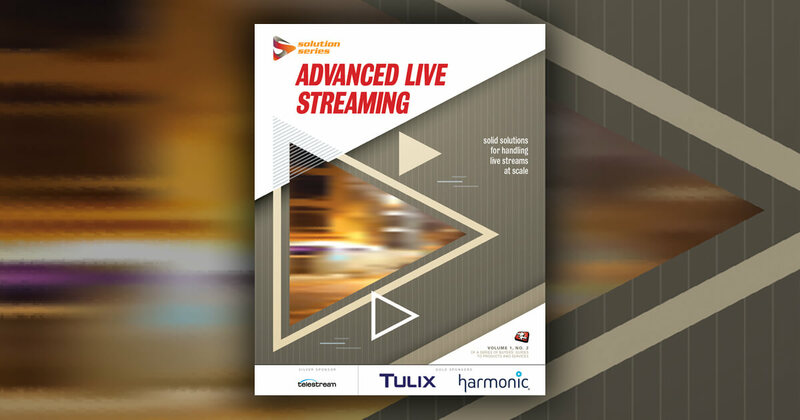 If you're delivering a live video stream, you likely want to publish it on as many platforms as possible. Here's the best hardware and software to pull it off. Disney's Mark Arana and Wowza's Chris Knowlton discuss the challenges content owners face in migrating their video from Flash to HTML5, and the importance of knowing where their video will land before planning their migration strategy. Video: Why Use A/B Testing in HTML5 Video Player Development?